Tips ACCESSORIES: Share your bad experiences. Discussion in 'Android Devices' started by DCBlueStar, Sep 17, 2011. Just thought I'd share a bad shopping experience I had regarding several accessories I purchased last weekend that finally arrived. 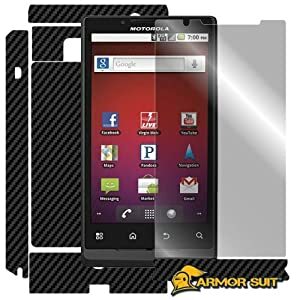 I bought my phone last Friday, so on Saturday I did some online shopping and bought a few accessories to protect my phone. ArmorSuit-MilitaryShield is extremely transparent and formulated against UV for anti-yellowing, in order to protect your device. ArmorSuit-MilitaryShield is made from the same protection film material used to protect military aircrafts, helicopters and space shuttles. MilitaryShield also equipped with "self-healing" technology to further extend the protection. The self-healing technology will eliminate minor scratches on the film over period of time. Our MilitaryShield has also been precisely cut to provide perfect fitting invisibly protect your device. You can relax and stop worrying about permanent scratches on your device because our MilitaryShield provides you a peace of mind to keep your device away from any scratches. ArmorSuit MilitaryShield features corrosion and moisture protection, it prevent moisture from migrating through film to attack underlying substrates.It also provides erosion and impact protection, it protect paint, plastics, metals and composites from sand, rock, rain, and debris damage. Also protects against general wear, rubbing, chaffing, abrading, scraping, etc. <<THE PROBLEM>> Installed the device as directed, as carefully as humanly possible. They suggest using a hair dryer to make parts of the shield tacky for when applying to the curves of the phone. I followed all directions to a T. Even allowed the phone to sit for a while before using it. The shield, for no reason, started to peel and stick to itself. This is a bad sign to me since the product has a lifetime replacement guarantee. I would not use something like this that had a problem after one day, and expect to replace the product daily or even weekly. 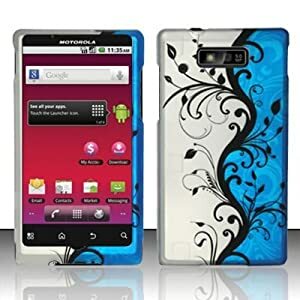 Snap on cover case designed to provide the basic protection of your phone, as well as a eye catching design. <<THE PROBLEM>> Arrived cracked. Even before installation of the Armor Suit [above] did not fit the phone. The snap on cover didn't have enough width to snap together around the phone. Are you using and Silicone Skin or other protective cover on your phone or are you having a difficult time finding a case that will hold your phone snugly? <<THE PROBLEM>> It's a good thing I have a Zagg screen on my phone. Upon the first use of this case, I had a few rows of scratches on the upper left part of my screen from where you slide the phone into this holster. I noticed the first scratch and didn't think to blame the holster. I rubbed and rubbed and used the Zagg solution to finally clean most of it away... but then later in the day noticed it again. It is clearly caused from the inside of this holster scratching the phone... and as stated before... it's a good thing I had the Zagg screen on, or I would not be a very happy Androider! It's a shame this case does this, as it is very sturdy, and even adjustable. Who'da thunk all three purchases would go wrong. I'm only trying to protect a $300 investment. Normally I wouldn't be picky... but this is an expensive device that is worth going the whole 9 yards to protect. Phew, thanks for the 'Blue Vine Hard Case' review. I was considering the 'black vine' version, but after getting the MT, there's not much of the front cover to wrap around considering the sides of the phone are so narrow. Unless someone has better experiences with these covers i will pass . Pics show the hard cases in different patterns for reference.